If I had to describe this June in one word, it would probably be “changes”. Naturalmente as usual, it is the month of the season changing from spring to summer. 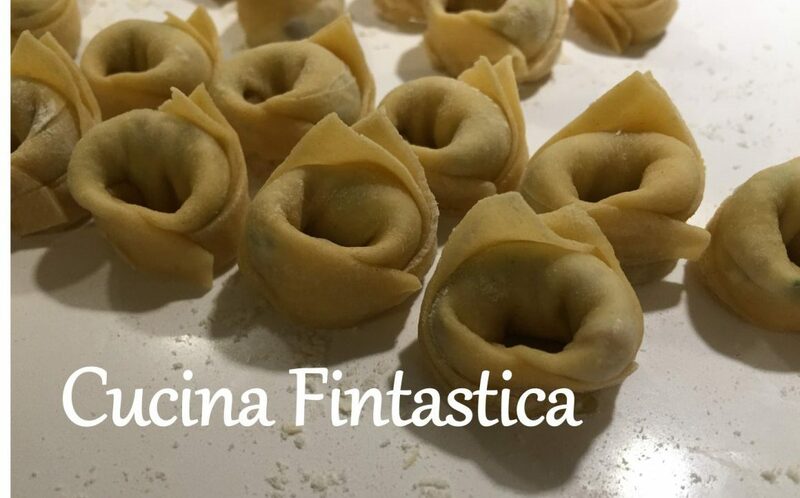 This year it was also a month of several changes in my life, and – due to those – additionally the first month with no posts on Cucina Fintastica. Leaving poor blog post stats aside, I am usually quite pro-change. Even if new phases and elements in life may bring some uncertainty, they also always include something new, positive and exciting! Obviously there are also some things that remain solid in this world. Such as my love of Italian food and faith in Giorgione’s recipes. I think I may need to order some new Italian cook books to my kitchen library soon including Giorgione’s latest (“Giorgioni – Le origini“) but in the meantime I’m sharing one more recipe from Giorgione’s fab “Orto e cucina“. There are in fact three different Umbrian style bruschette out of which I have successfully tried two: one with an aubergine topping and another one with green peppers. Both are delicious and superbly simple – and hence dishes for which my appreciation will certainly never change! Heat some olive oil in a pan and add the chopped onion, a dash of red chilli, and a leaf of marjoram (or more if your fresh marjoram are a bit blander than in Giorgione’s region – such as here in Helsinki). Add the green peppers (sliced into small pieces) and some salt and fry lightly. Once cooked (the green peppers should be soft enough for blending), move them into a blender with a knob of butter and a bunch of parsley. Mix into a soft paste. Heat some olive oil in a pan and quickly fry the aubergines (sliced into cubes) in it. Drain the aubergines. In another pan, heat some olive and gently fry the garlic clove, some red chilli, mint and marjoram. Add the aubergines. Move the mixture into a blender and mix into a soft paste with a knob of butter. Cut the bread into nice slices and gently grill the slices. Top each slice with the paste of your choice. I have been writing this blog for almost a year now. However, today I feel that I may be experiencing some kind of a writer’s block for the first time. On the other hand, it may not be such a bad sign if a recipe is so fabulous that it practically leaves you speechless (or writingless, but that’s not really a word, is it?)? I am also in silent awe of the versatility of the ricotta cheese. It is amazing how well its very subtle flavour works in various dishes ranging from this pasta sauce to pastries and salads. And in this case the sauteed shallots and ricotta form the perfect union to base the rest of the dish on. Finally, I suppose I do need to break my written muteness at least to share the source of this recipe. The name of the site translates as “Granny’s recipes”. So after all, even if my verbal skills are sometimes unreliable, you can at least always trust an Italian nonna! Thinly slice the shallot and saute it on a gentle heat in a pan with 2 tablespoons of olive oil, a pinch of salt and pepper. Cut the eggplant into thin slices. Take another pan and heat it (without any oil) and cook the eggplant slices until it is crisp. Season with salt and remove from the heat. Combine the ricotta with the sauteed shallot and let the mixture cook for 5 minutes on a low heat. Cook the pasta in salted boiling water and drain. Add the pasta to the pan with the shallot – ricotta sauce. Cut 3/4 of the fried eggplant into smaller slices and combine them with the pasta and sauce. Remove the pan from the heat and add one tablespoon of fresh parsley (chopped) and the tomato (sliced into small cubes). Serve warm and garnish the plates with the remaining eggplant slices. I am one of those women who tried her best to avoid every visible source of fat (such as salad dressings and butter on a piece of bread) in her food for years. When I learned a few years ago that in fact my diet contained too little fat, I had to retrain myself to remember to accompany my lettuce with a bit of olive oil. The success of my endevours is now clearly visible on my waistline but at least it is good fat, eh? Cut the aubergine into very thin slices. Sprinkle them with salt if needed and after an hour, rinse with water and dry (you may skip this step if your aubergines are not the bitter type, as most aubergines sold in Helsinki aren’t). Heat one half of the olive oil in a pan and add the aubergines. When the slices are cooked, transfer them into a salad bowl. Add the sliced tomatoes, zucchini and champignons to the bowl. Heat the other half of the olive oil in a pan and gently fry the garlic clove in it. Add the white wine, lemon juice and cream. Stir into the sauce the rosemary, fresh mint and vinegar and bring it to a boil. Remove the pan from the heat and season with salt and pepper. Pour the dressing onto the salad and let the vegetables marinate in it for at least 30 minutes. At the time of serving, season with some additional salt and pepper to your taste. Sometimes the best things in life and cooking are simple. This is certainly the case with this salad. With little effort, the maximum yum (well, I guess yum really isn’t a word but it kind of rhymes nicely with maximum). It is a side dish to accompany fish or meat. I have tried this with smoked salmon and it worked wonderfully. Add your favourite Italian song to the mixture and I guarantee you will simply have a stunning Italian meal! Cut the aubergines into slices (about 1 cm thick). These steps you can skip, in case you believe that your aubergines do not hold a grudge, i.e. are not the bitter kind: Spread the slices on a tray and sprinkle the salt onto the slices. Leave them for about 40 minutes. Wipe off the liquid that has come out of the aubergines. Grill the aubergine slices (I used the grill of my oven at 200C). After the first 5 minutes, flip them and continue grilling for another 5 minutes. Chop the fresh mint. Extract the seeds from the pomegranate. Mix the grilled aubergine slices, chopped mint and pomegranate seeds in a bowl. Combine the olive oil and vinegar, stir and add to the bowl. If you skipped the previous steps of salting, you can add some salt as well. Mix well and serve with the meat or fish of your choice.